Home » Articles » Why is it important to Buy a Medigap policy when I am first eligible? Ready to Buy a Medigap Policy? It might be time to buy a Medigap Policy if you are in open enrollment. At Plan Medigap we feel it is very important to understand your Medigap open enrollment period. Before you buy a Medigap Policy, you should do your research. Medical underwriting is generally used to determine whether to accept your application and how much to charge you for the Medigap policy. However, if you apply during your Medicare open enrollment period, you can buy a Medigap policy, even if you have health problems. Your coverage will be the same no matter what your health condition. If you want to buy a Medigap policy after your open enrollment period, there is no guarantee that an insurance company will sell you a Medigap policy without meeting the medical underwriting requirements. 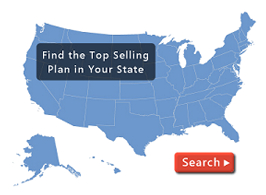 When you are ready to buy a Medigap Policy, please call us at: 800-750-2407. There are several criteria that determine your open enrollment period. There are also several companies that you should consider when you are ready to buy a Medigap Policy. We also recommend that you compare each Medicare Supplement Plan. Why should you buy a medigap policy when the cards are stacked against you. Take advantage of your open enrollment period. You have a partner that you can trust in Plan Medigap. We don’t sell your name or bother you with dozens of phone calls. We want you to feel good when you buy a Medigap Policy. Remember: It is important to buy a Medigap Policy when you are in your open enrollment period.